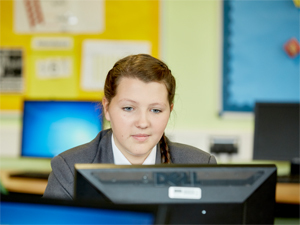 At The Oakwood Academy, we work to provide high quality guidance for students and their families in relation to the dangers of the online digital world. We also provide guidance and support to help stay safe and avoid these risks and dangers. In this section, you will find some links to high quality websites and resources to help you at home, as well as information and fact sheets that we have sources to help you read and discuss. Please take some time to look at these websites and resources, we really do feel that they can help keep you and your child safer online. As part of the ICT curriculum, students in Key Stage 3 learn about what information should not be shared in a public domain. As well as this, students are educated about Internet etiquette and guidelines that should be adhered to on social networking sites. PSHE is also a key area where students are educated about E-Safety as the local police community support officer leads a presentation on E-safety, the dangers associated with Internet browsing and the consequences of inappropriate behaviour online. Key Stage 4 students also lead whole school assemblies on E-Safety and recognise the importance of privacy settings to ensure important information cannot be accessed by unknown individuals. Creative Commons helps you share your knowledge and creativity with the world. Creative Commons develops, supports, and stewards legal and technical infrastructure that maximizes digital creativity, sharing, and innovation.